Ryann M. Casey is a criminal defense attorney at the Metro-Davidson Public Defender’s office and has been there since August 2016. In addition, at the Public Defender’s office Mrs. Casey serves on the Community Advisory Board Standing Response Committee as well as the Racial Justice Committee. In 2016, Mrs. Casey co-founded The Casey Fund. The Casey Fund is an non-project agency that supports community-based organizations that work to provide resources for youth and formerly incarcerated people. In 2015, Mrs. Casey joined the Titans Women’s association. Through that association, she volunteers at local schools, food banks, and non-profit organizations. Mrs. Casey believes that we all have a job to inspire positive change. She tries to volunteer, financially contribute and overall make a difference in low-income communities as she can. Mrs. Casey earned a bachelors degree at The University of Southern California and a Juris Doctorate at Loyola Law School, Los Angeles. Mrs. Casey serves as a board-member for Purpose Prep and is a member of the Governance committee. Vince Durnan has been Director of University School of Nashville since 2000. A graduate of Williams College, where he was a Tyng Scholar, he also holds a Master in Education degree from Harvard and received his Ed.D. in Leadership Policy and Education from Peabody College at Vanderbilt University. Before coming to USN, Dr. Durnan was Academic Dean at Suffield Academy, where he also taught history and economics. He has also been a history teacher and coach at Hawaii Preparatory Academy, Kingswood-Oxford School, and Harvard-Westlake School. Dr. Durnan serves on the Board of Centerstone of Tennessee, Alignment Nashville, and Malone Schools Online Network (MSON). He recently chaired the Division II Committee for the Tennessee Secondary School Athletic Association. He participated in Leadership Nashville in 2002-2003 and has served recently on the Board of the Red Cross, Oasis Center, Tennessee Repertory Theatre, Nashville Preparatory Charter School, Purpose Preparatory Academy Charter School, the Andrew Jackson Foundation and the Tennessee Association of Independent Schools. Dr. Durnan has both participated in and presented at the NAIS Institute for New Heads, and he contributed a chapter for the NAIS Head’s Handbook, published in 2011, and served on the faculty for Vanderbilt’s program for independent school leadership. His primary research interest is independent school/university governance relationships. He recently completed visits to more than 30 schools nationwide to survey the educational reform landscape. Mr. Durnan is the Vice President of the Executive Committee of the Purpose Prep Board. Perry Gooch is Senior Vice President for Investment Services and Office Leasing at Cushman & Wakefield and has been with the firm or its predecessor entities, since 2003 where he has been a top produced for the firm since 2010. In 2009 and 2011, Mr. Gooch was recognized by The National Association of Industrial and Office Properties (NAIOP) for the office sale of the year. In 2012 and 2013 he was recognized as the #1 office broker in the city by The Nashville Business Journal. Since joining Cushman & Wakefield, Mr. Gooch has completed over $750 million in office sales and lease transactions throughout the southeastern United States. Prior to joining the firm, Mr. Gooch was President and Founder of Gooch Beasley Construction, a residential construction and development firm located in Monteagle, TN. He has served as a board member with The Foundation for Educational Excellence in Winchester, TN and Delta Axis in Memphis, TN and was a Commissioner with The Memphis City Beautiful Commission. Mr. Gooch earned a BFA from The University of the South and MBA from Vanderbilt’s Owen Graduate School of Management. Mr. Gooch currently serves as Chair of the Board for Purpose Prep and is a member of the Finance and Development Committees. William Jackson is a Managing Director/Financial Advisor with Cahaba Wealth Management. Mr. Jackson manages the Nashville office and serves as the financial advisor to clients in the region. Prior to Cahaba, Mr. Jackson spent 2o years in the financial service industry and is currently in the process of obtaining his CFP®designation. He hold the 7,24,55,63 and 65 series licenses through the National Association of Securities Dealers. William earned his BA in Economics from Rhodes College and is a graduate of the Scarlett Leadership Institute. He has previously served on the boards of the Fannie Battle Day Home and Association for Corporate Growth (ACG Nashville). He believes that every child has the ability to achieve greatness and just needs the opportunity and mentorship to achieve success. Mr. Jackson serves on the Finance Committee for the Board of Directors of Purpose Prep. Dale Mitchell is a career financial services professional, with extensive experience in many areas of both retail and commercial banking. Currently he works as a commercial credit portfolio manager in First Tennessee Bank’s Private Client Services group. In this role he is responsible for helping to structure and deliver customized credit solutions to the bank’s highest net worth clients. This group includes entertainers, athletes, entrepreneurs, physicians, attorneys and other professionals. He is a graduate of Vanderbilt University as well as the Tennessee Banker Association’s Southeastern School of Banking. Mr. Mitchell has been active in the Nashville community for several years. He has coached youth sports and volunteered on several nonprofit boards. He is married with three children. Mr. Mitchell is chair of the Purpose Prep Finance Committee and board treasurer. Ashley Northington is the Founder at DENOR Brands & Public Relations. 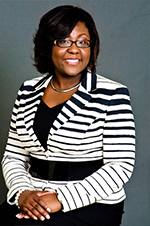 Northington is an award-winning marketing communications professional and entrepreneur. 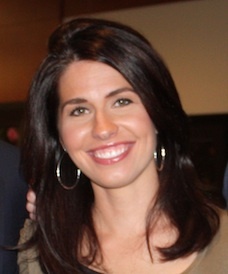 Prior to launching her communications firm, she has held prominent roles as an arts and entertainment reporter, chief education reporter, press secretary, public information officer, and research analyst for major corporations and public service organizations including The Tennessean, The (Shreveport) Times, USA Today, Associated Press, Louisiana Department of Education and the Bureau of Governmental Research. Northington is active in the business and public education community. She serves on the Sunago Supply Advisory Board as well as the Nashville Business Incubation Center’s marketing committee. A Young Leaders Council alumna, Northington is secretary for the Purpose Preparatory Academy Board of Directors. She also mentors high school students making the transition to college through the tnAchieves!/Tennessee Promise program. Northington is a proud graduate of Tennessee State University where she earned a Bachelor of Arts degree in English and a minor in women’s studies. She also earned a Master of Public Administration with concentrations in public policy and higher education from Louisiana State University. Sallie Norton, a native of Murfreesboro, graduated from Harpeth Hall in 1971 and from Vanderbilt University in 1975 with a B.A. in English. She served in the Alumni Office at Vanderbilt as Director of Reunions and then served as Director of Alumnae Relations at Harpeth Hall for over 15 years. She also served as Finance Director for Senator Bill Frist from 1995-98. Her husband, William L. Norton III (Bill) is a partner with Bradley, Arant, Boult, Cummings. They have three children: Will (age 36) serves as the Dean of the Upper School at Montgomery Bell Academy, Jameson (34) is CEO of Vanderbilt Psychiatric Hospital and Behavioral Health System, and Sarah (age 29) is a nurse at Baptist Women’s Hospital in Memphis. Sallie and Bill have seven grandchildren. Sallie’s Board and Volunteer activities in addition to her involvement with Purpose Prep Charter School Board of Directors include West End Home Foundation Board of Directors, holding the office of Secretary, Communications Committee,, Chair; Executive Committee, Grant Committee, Human Resource Committee,; Investment Committee, and Recipient Reporting Committee. Chair of Staff Parish and Lay Leadership at West End United Methodist Church; Junior League of Nashville, Board Member and President 1994-95; Faith Family Medical Clinic, Breakfast Chair; Kappa Alpha Theta, Bal d’Hiver Chair and Alumnae President; Andrew Jackson’s Hermitage, Board of Directors, Chair of Spring Outing and Development Committee; Renewal House Founding Board and Advisory Board; Leadership Nashville (1994), Education and Quality of Life Day Committees; National Vice Chair for Commemorative Events for National Society Daughters of the American Revolution Centennial Celebration of Women’s Suffrage, Chapter Regent, and State Flag Committee Chair. Sallie is a member of West End United Methodist Church and the Centennial Club. She enjoys spending time with her grandchildren, volunteer work, Bible Study, Covenant Disciple, exercise, water and snow skiing and bridge. Currently, Mrs. Norton is a member of the Purpose Prep Board. Charlane Oliver serves as the Community Liasion and Communications Staff for Congressman Jim Cooper, the U.S. Representative for Tennessee's 5th District. Prior to this appointment, she served as the Director of Communication for the Williamson County Chamber of Commerce, where she used her public relations expertise to drive key marketing and branding strategies to the largest network of businesses in the fastest-growing county in the state. Charlane is also a freelance writer, public relations strategist for nonprofits, small businesses and political campaigns whose work has been published in The Tennessean, Tennessee Tribune, Nashville Post, Nashville Business Journal, Williamson Herald, YOUR Williamson, Franklin Home Page, andTrumpet magazine. She is the founder and board president of The Equity Alliance, a nonprofit advocacy group focused on minority civic engagement, and serves on the board of the Metro Nashville Emergency 911 Communications District Baord, Purpose Preparatory Academy and the Urban Enterprise Group. She is a tnAchieves mentor and a member of the Public Relations Society of America, Nashville Women of Color in Communications, and Alpha Kappa Alpha Sorority, Inc. Charlane is a 2017 Nashville Emerging Leader Awards Finalist, a 2016 Nashville Black 40 Under 40 award recipient, and alumni of Young Leaders Council. Charlane is a graduate of Vanderbilt University and holds a master’s degree in public administration from the University of Tennessee-Knoxville. She is married with two children. Mrs. Oliver is a member of the Purpose Preparatory Board. Ginny Pope is the owner of Oak Nashville. Prior to starting her own business, Pope enjoyed working for a local non-profit in Nashville, TN that focused on education, financial stability and health. Having successfully worked with over 30 Nashville corporations on increasing their volunteer engagement and giving campaigns, Pope brings an enthusiastic and strategic approach to Purpose Prep’s fundraising efforts. Pope serves on the Resource Development Committee for the Board of Directors of Purpose Prep. Eric Rubinstein is the Vice President of Finance & Strategy for Silicon Ranch. Eric brings a diverse background in finance and operations with both for-profit and non-profit organizations. Eric is currently the VP of Finance and Strategy for Silicon Ranch Corporation. Previously, Eric served in several finance roles serving charter schools and national non-profits. Eric’s interest in education has spanned from tutoring at public schools to starting a company to provide behavioral management software for school systems. Eric is passionate that every child receives a high-quality education and receive the tools and mentorship required to reach their goals. Janna Smith began her legal career in Atlanta in 1997 specializing in antitrust and white collar criminal law. She moved to Nashville in 1999 and worked as staff attorney for Judge Barbara N. Haynes in the 3rd Circuit Court of Davidson County. Janna then focused her legal career on employment law representing plaintiffs in Title VII litigation. Later in her career, Janna focused primarily on commercial law representing businesses in legal disputes. Most recently, Janna worked as an analyst for a litigation finance advisory company. Janna served on the non-profit board of Court Appointed Special Advocates for children for seven years, including serving as Chair of the Board. Janna serves as the Chair of the Governance Committee for Purpose Prep. Lagra Newman, Founder and Head of School, has a proven track record of transformative academic outcomes for students in district and charter schools. A Teach For America corps member in Los Angeles, she also served as Recruitment Director for TFA’s Atlanta Region. As a charter leader in Washington, DC, Ms. Newman is the recipient of the Transformer Award as the highest performing teacher in her charter network of over 400 teachers, which marked student academic gains of over two years and the highest percentage of students meeting and exceeding grade level benchmarks. After Ms. Newman served as Director of Instruction, her school was recognized for achieving the highest percentage of student achievement results within her charter network of 13 schools and for being within the top five charter schools in Washington, DC for academic growth on state assessments. Presently, Ms. Newman is a Fellow with the highly selective Building Excellent Schools. Ms. Newman earned a BA at Vanderbilt University and MA in Teaching at Loyola Marymount University, and is completing an M.Ed in Public School Leadership from Teachers College of Columbia University. Organizational Meeting on August 10, 2012 marking the transition of the Founding Board into the Governing Board of Purpose Prep: Rosevelt Noble, Perry Gooch, Wanda Young Wilson, Cyndi McKenzie, Kathy Tompkins, Ryan McCostlin, Harry Allen, Lagra Newman, and Rita Mitchell (not pictured: Carrie Cragwall). The Purpose Preparatory Academy Board of Directors will meet on the last Thursday of each month starting at 8:30am. From August 2018 to June 2019, this schedule outlines the dates of these monthly meetings. Meetings will be held at Purpose Preparatory Academy Charter School (220 Venture Circle, Nashville, TN 37228). The Purpose Preparatory Academy Finance & Facility Committee will meet on the last Thursday of each month starting at 10:00 am. From August 2018 to May 2019, this schedule outlines the dates of these monthly meetings. Meetings will be held at Purpose Preparatory Academy Charter School (220 Venture Circle, Nashville, TN 37228).Quarterly meetings are held at Cushman and Wakefield. The Purpose Preparatory Academy Academic Committee will meet on the third Thursday of each month starting at 12:00pm. From August 2018 to May 2019, this schedule outlines the dates of these monthly meetings. The Purpose Preparatory Academy Finance & Facility Committee will meet on the third Thursday of each month starting at 9 am. From August 2018 to May 2019, this schedule outlines the dates of these monthly meetings. *This is the last Thursday of the month given the holiday. The Purpose Preparatory Academy Fund Development Committee will meet on the first Tuesday of each month starting at 12:00pm. From August 2018 to May 2019, this schedule outlines the dates of these monthly meetings. *This is the second Tuesday of the month given the holiday.